At first glance, the children's film Chikara – The Sumo Wrestler's Son is the story of a small boy in a tough sport, but to director Simon Lereng Wilmont it is above all a universal narrative about fathers and sons. One of the first shots in the 30-minute Chikara – The Sumo Wrester’s Son shows a wrestling match between two boys. Barely a second goes by before one of the boys is pushed out of the ring, the dohyo, and lands smack on the floor a foot beyond the perimeter, his face contorted in tears. The crying boy isn’t the film’s protagonist. That’s Chikara, who appears shortly afterwards by himself, lost in thought in the middle of the gym amongst the other boys, naked except for the loincloth Japanese sumo wrestlers wear. At this point, most Westerners’ preconceptions are liable to kick in, seeing the boys as victims trapped in weird, millennium-old rituals in a country that puts undue demands on its citizens and has one of the highest suicide rates in the world. But that’s only on the surface, director Simon Lereng Wilmont says. “My plan was to make a film that goes behind the stereotypical notions we in the West have about the Japanese,” he says. This comes out in Chikara and his relationship to his father, Harumitsu. In Japan, a lot of people still continue the tradition of following in their parents’ footsteps. That’s the case with Chikara, whose name means ‘strength.” He is a sumo wrestler, like his father before him. But Chikara isn’t big or strong for his age, and he often has problems in the ring. He looks hopelessly small next to his huge father. In a sport whose practitioners are supposed to look as imposing as possible, Chikara’s potential is hard to spot. But he sticks with it, and to the director that’s the interesting thing about him. The filmmaker sees another, more important reason why Chikara sticks with sumo, even if he, too, has his doubts about it. “To me, the film is mainly about a boy who wants to be closer to his father. He doesn’t see him all that often, because his father has to work a lot to keep his family afloat. Sumo is their time together,” Wilmont says. Wilmont hopes children who see the film, ideally with their parents, will think about the choices Chikara makes. “I would like children to ask themselves or their father and mother: ‘if it hurts so much, how come Chikara still likes sumo? Why does he keep doing it?’ A different view of a tough sport will emerge that way, if you go beneath the surface”. Chikara – The Sumo Wrestler’s Son is produced by Monica Hellström for Final Cut for Real. 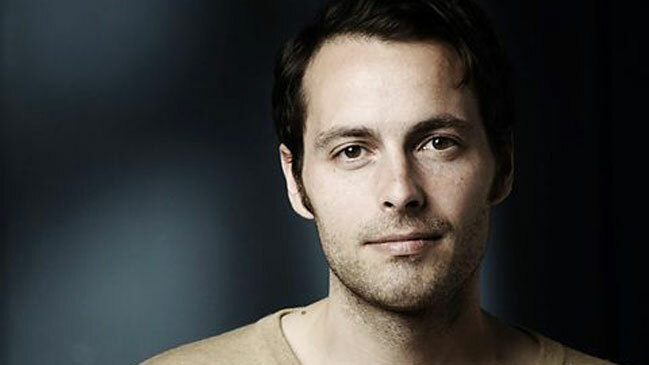 Director Simon Lereng Wilmont, 38, graduated as a documentary film director from the National Film School of Denmark in 2009. He also holds a BA degree in Japanese. Above the Ground, Beneath the Sky (2008) won Best Short at Vision du Réel. Dormitory Master (2009) won a Gold Panda award at Sichuan TV Festival. His first feature documentary, Travelling with Mr. T (2012), was co-directed with Andreas Dalsgaard and selected for CPH:DOX. A martial art originating in Japan. Two wrestlers, or rikishi, meet in a sand-covered ring called a dohyo. The sport has roots in Japan’s Shinto religion and perpetuates centuries-old purification rituals, such as tossing salt before the match. Sumo matches often last just a few seconds. The loser is the first one who is forced out of the ring or touches the floor with anything but the soles of his feet.